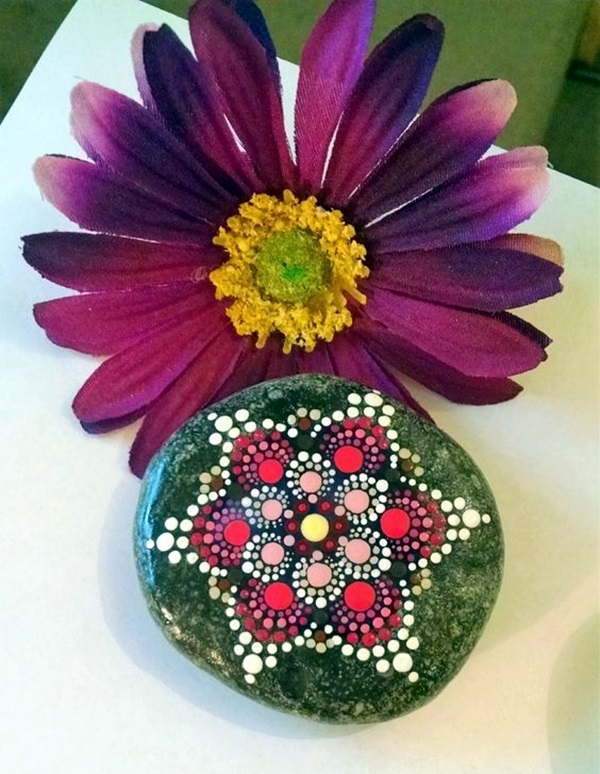 DIY or do it yourself is a great way to promote people who feel that they are not talented enough or skilled enough to do art to veer towards arts and crafts. 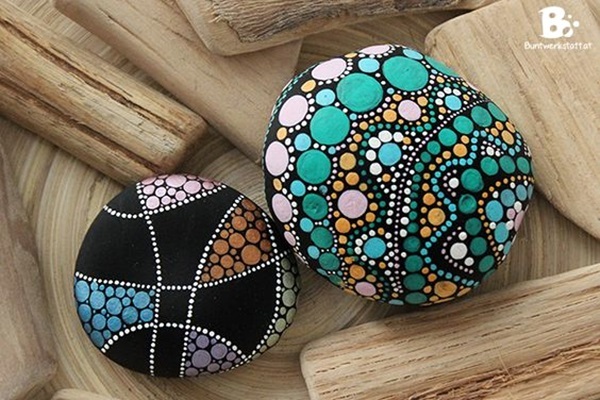 It is a fun concept that takes your mind away from the mundane minutiae of life to make you feel relaxed and empowers you with the feeling of achievement. 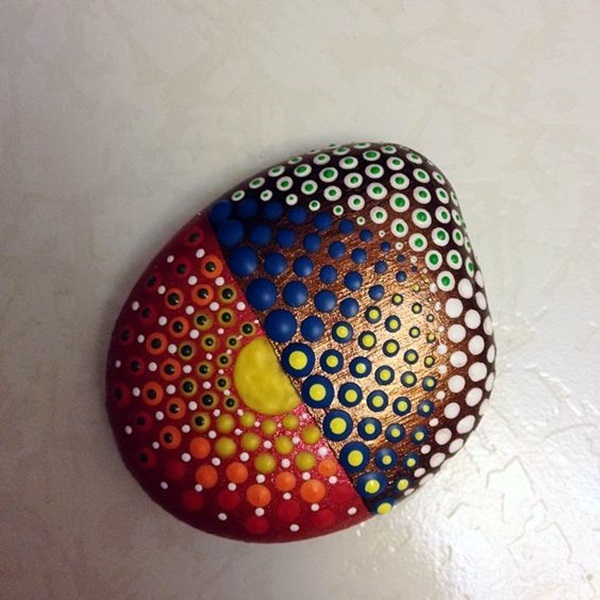 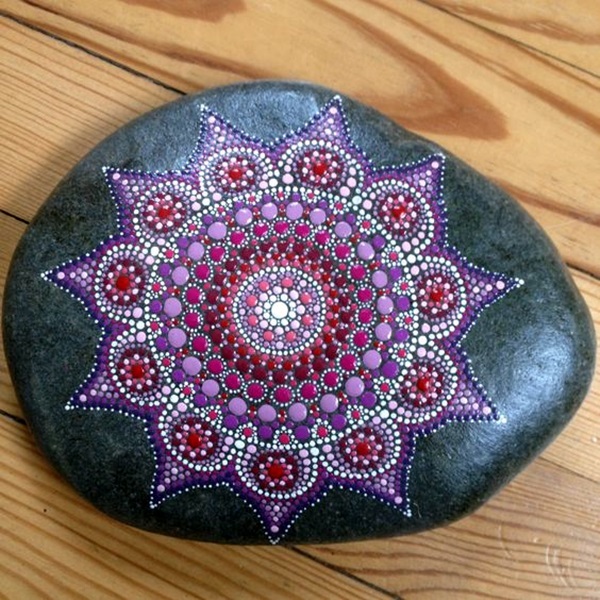 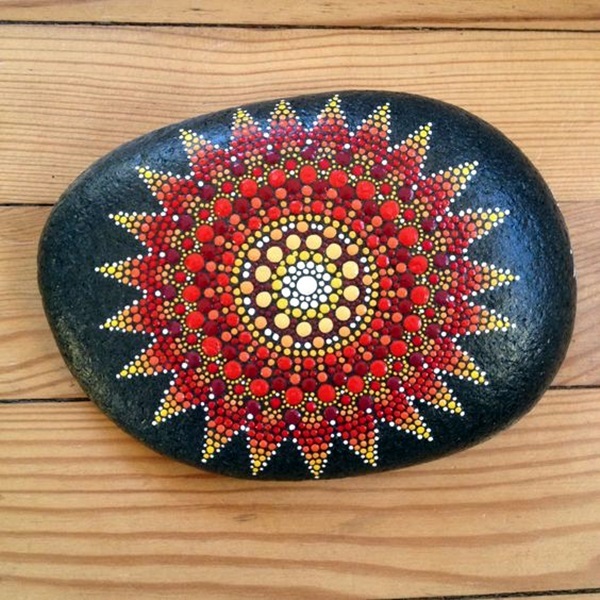 In this article we will be talking about mandala stone patterns that you can copy to have a DIY of your own. 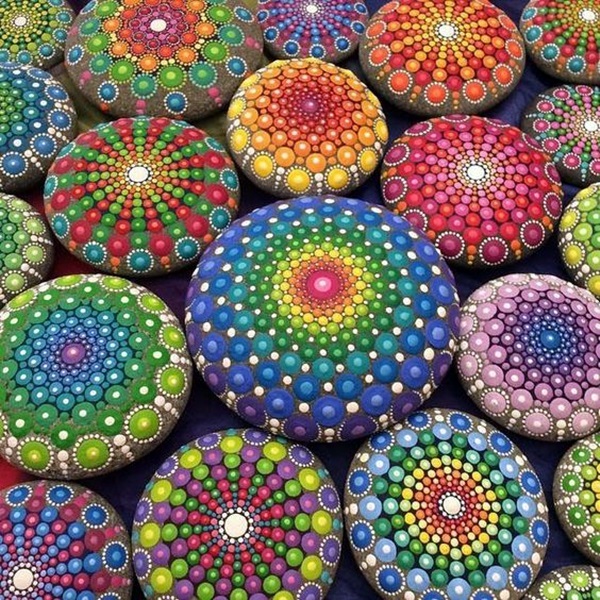 This craft or art, is even more appealing given the deeper meaning and significance of the mandala, which in Sanskrit means a circle literally but is much more than that in terms of deeper meanings. 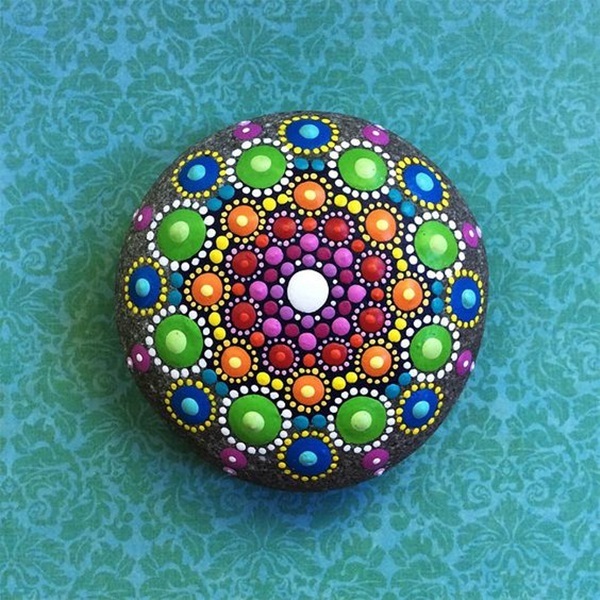 Though the word means circle, you will find that mandala patterns have other designs on them like triangles, squares and more. 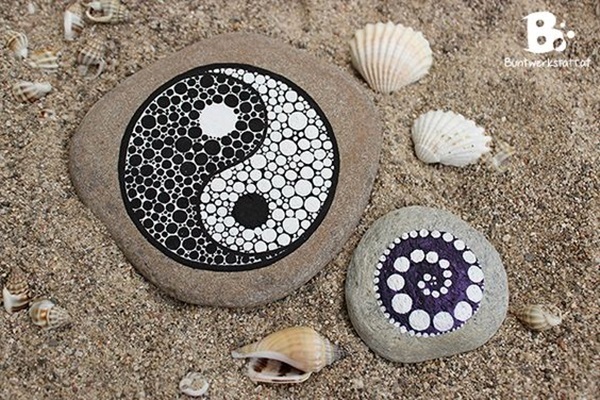 Like many DIY dream catcher ideas for decoration and due to their deeper significance, this one is very satisfying to make at many levels that you may not realize at first but will get later. 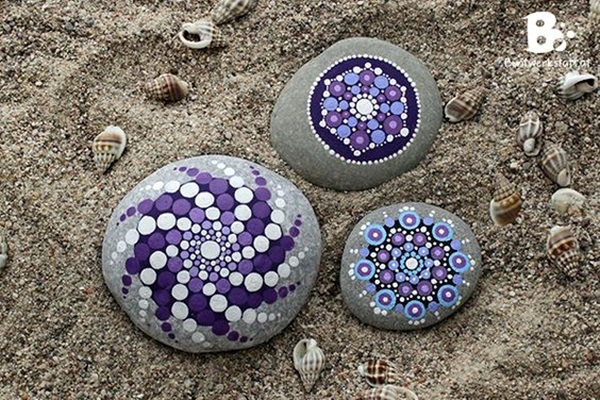 The kind of mandala stone patterns that we are suggesting that you take up as a DIY project are going to be pretty no doubt but also very mesmerizing to look at. 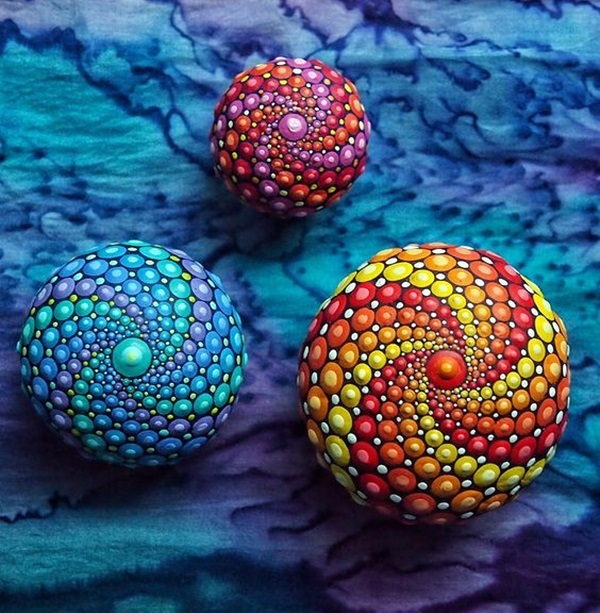 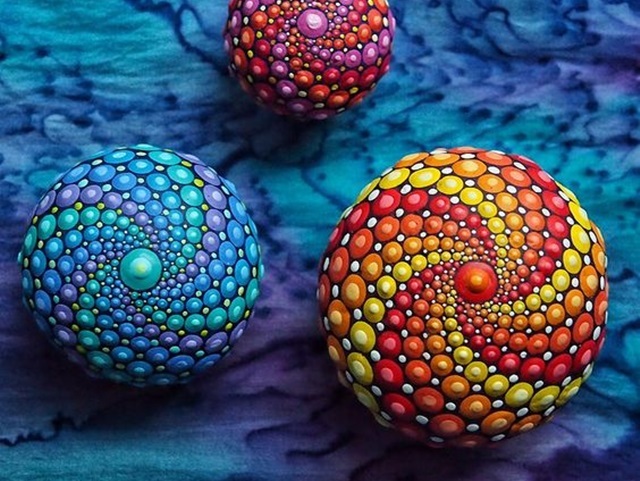 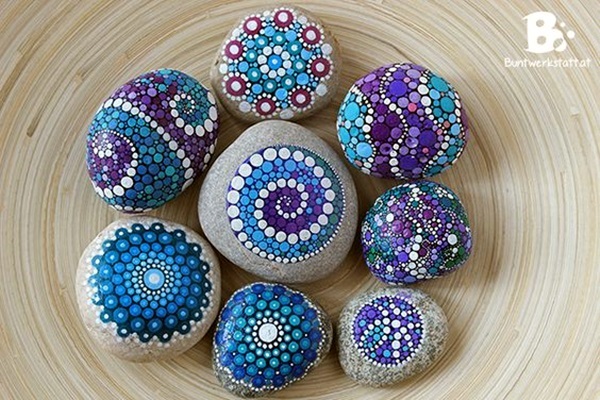 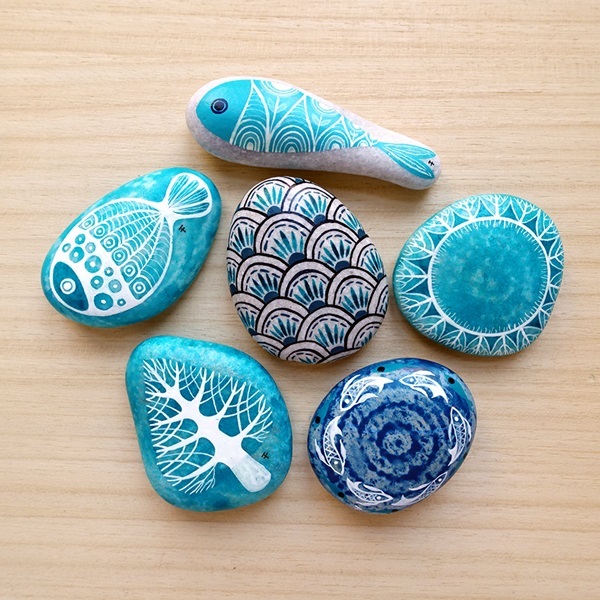 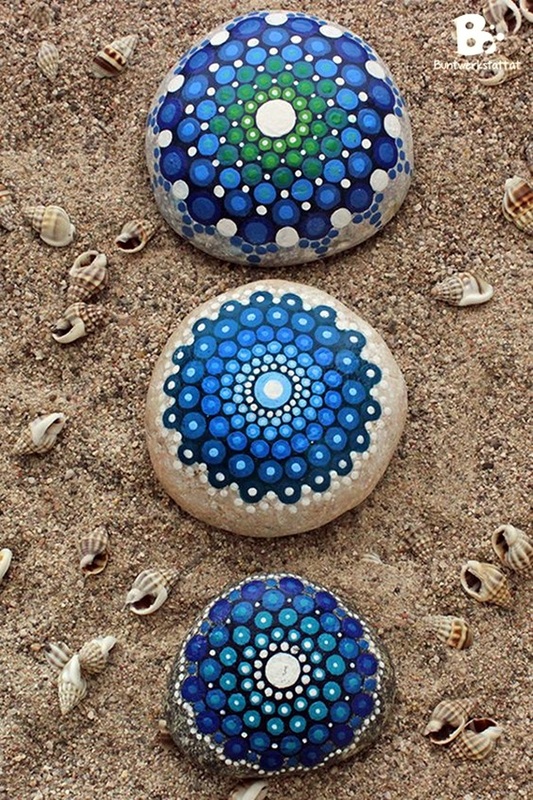 We are sure that you spared the time to make these mandala stones by taking time away from DIY wind chime ideas to try this summer, but you will be happy you did so. 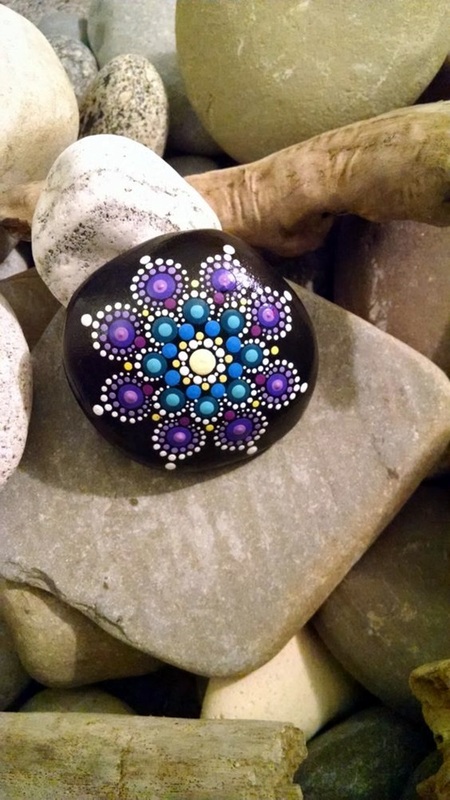 It may not quite have the utility value that cool and creative DIY coat rack ideas but you will still find it satisfying down to the soul and the depths of the mind. 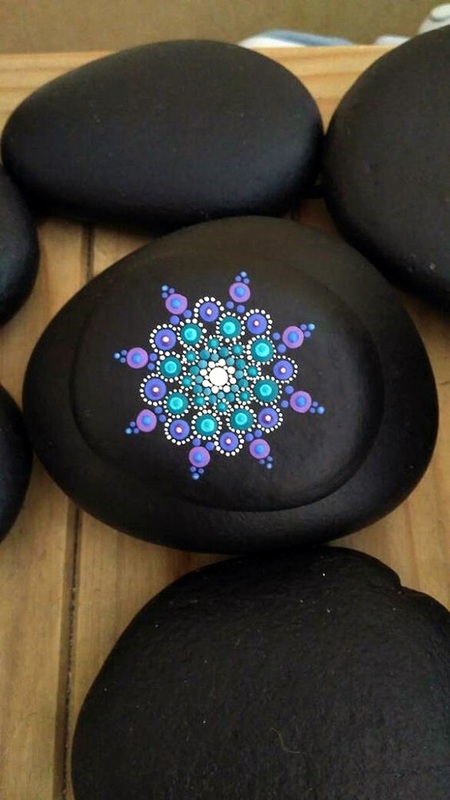 We say this because the mandala is supposed to represent the cosmos in the metaphysical or symbolic sense and when your senses clamor that bit of serenity, gazing down into the spirals of the mandala stone that you made with your own hands, will help. 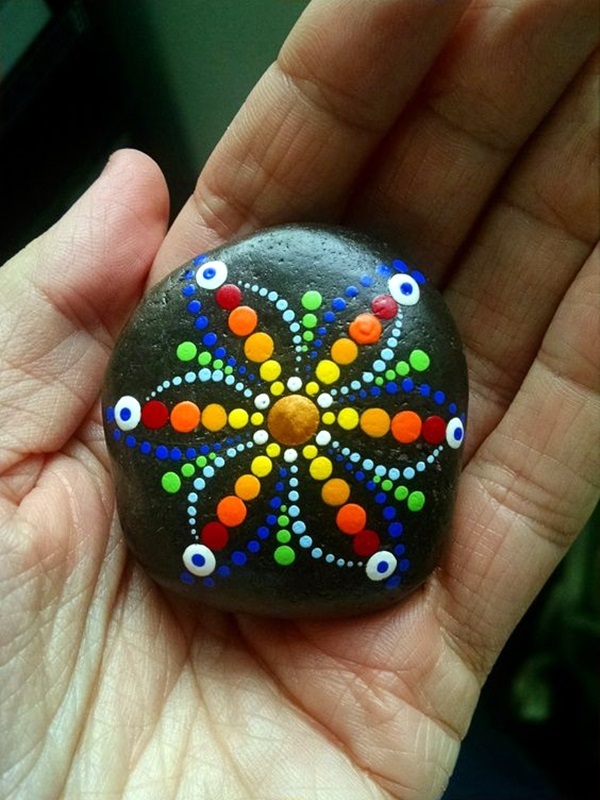 They say that when we touch even inanimate things, some of our vibrations pass on to that object. 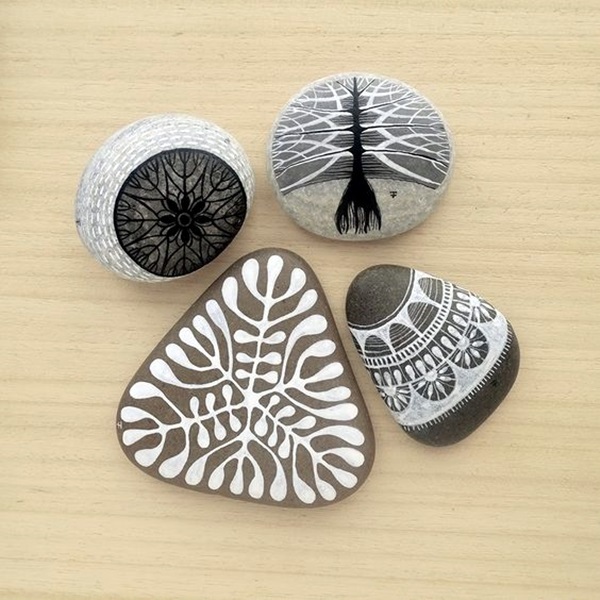 Stones that we work with are supposed to have a little of our essence in them and this imbues the stone with a special quality. 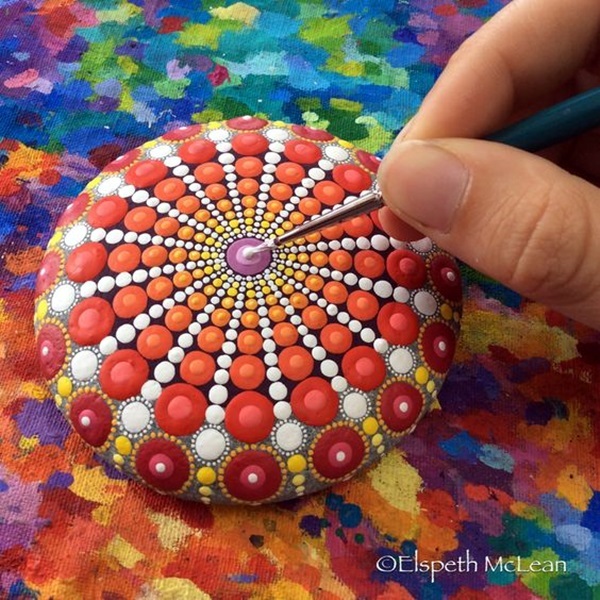 By painting the mandala design on it, you are reinforcing this essence and making it even more profound.